of the choice select herbs to promote proper head function. promote the normal function and responses of the head and related areas, as well as throughout the body. DO YOU HAVE HEAD DISCOMFORT? 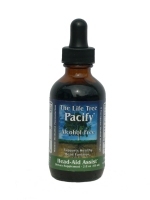 Pacify Head-Aid is an all-natural answer! Looking for an all-natural herbal solution for head relief? Wanting quick results in a safe, truly natural and organic formulation? Pacify is your Master Herbalist formulated solution, specifically blended with certified organic & wild harvested ingredients. 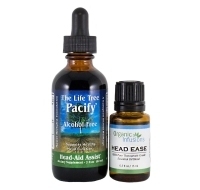 Within minutes, the effects of Pacify are noticeable in promoting normal head function - naturally! 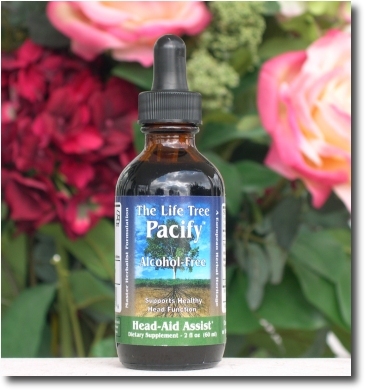 The secret to the effectiveness of the Pacify Head-Aid product is not only in the absolute purity and potency of the herbs used, but it is also in the Master Herbalist-formulated preciseness of the mixture ratios used. Pacify is the testiment of the cumulative knowledge of literally thousands of years of ancient herbology wisdom. This natural blended recipe has been carefully formulated and perfected like no other product on the market today! All chemical or synthetic drugs have negative side-effects! This is true for both prescription and non-prescription drugs. Our bodies are in harmony with nature, and are simply designed to process natural substances more readily. Unlike chemical or synthetic drugs, herbs are primarily seen by the body as food. While the overdose of chemicals or synthetic drugs into the human body is undoubtedly dangerous and may even be potentially fatal, alternatively an overdose on herbs generally does not put the body into a life-threatening situation. Rather, under most circumstances the body normalizes itself because it is simply dealing with a food. Using plants and herbs is something which has been done for thousands of years, in many different cultures on all the continents. 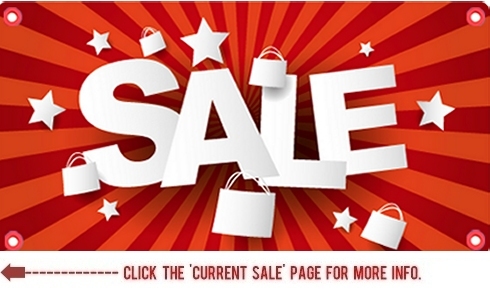 There is only one possible reason for this � herb remedies work, and are very effective. Perhaps the chief reason why natural products and herbal remedies are not heavily promoted in today's modern western-science world is because there is no money for the large companies in promoting them. The real money is in the development of a synthetic or genetically-altered substance, patenting it, and then exclusively marketing it. Natural herbs and food items cannot be patented, and thereby there is no reason to spend millions of dollars on promoting and advertising them to consumers. Why take unnatural chemicals or genetically-modified synthetic ingredients to promote proper head function, when there is instead an all-natural and effective alternative! The use of willow bark pre-dates back to the time of Hippocrates. Willow bark has been used throughout the centuries in China and Europe, and continues to be used today for treatment and relief. 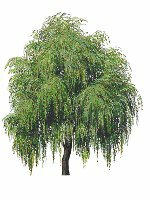 The bark of white willow contains salicin, which is a natural component similar to aspirin (acetylsalicylic acid) and is responsible for the pain-relieving and anti-inflammatory effects of the herb. Feverfew (Tanacetum parthenium), a member of the sunflower family, has been used for centuries in Europe as an effective herbal remedy. Feverfew, unparalleled in its action, has a long traditional history in both relieving and supporting normal head function. Meadowsweet is an appealing herb: in the garden, it gives off a pleasant wintergreen and sweet almond fragrance. But the herb is probably best known for its natural chemical components, which have made it popular throughout history as a traditional herbal remedy. Meadowsweet was also the key ingredient from which aspirin was originally synthesized; Bayer Pharma-ceuticals used dried meadowsweet leaves for its original methyl salicylic acid formulation. The Meadowsweet herb, however, is naturally gentle to the stomach. Ginger, the underground stem, or rhizome, of the plant Zingiber officinale has been used as a remedy in Asian, Chinese, Indian, and Arabic herbal traditions since ancient times for natural head-aid assistance. Pulsatilla grows in the temperate zones of the northern hemisphere of Europe (where their medicinal uses have been recorded since antiquity by Galen and Dioscorides); with other species growing in North America (where it was considered the chief medicinal plant of the Minnesota tribes of Native Americans and the "great medicine" of the Northwestern tribes); as well as in Asia since the days of the Han Dynasty. Pulsatilla is well established as an effective head-function support herb. The formulator is a Master Herbalist and Clinical Herbalist with over 27 years of experience focusing on alternative therapies, formulating and creating formulae; testing herbs, vitamins and minerals; has created the Pacify blend as a traditional way to promote head-aid assistance action. Since 1982 he has been treating thousands and thousands of patients by the natural components and the herbs that are in the Pacify formula. In fact, many of the natural components and herbs in the Pacify formula have been used for centuries and centuries. Herbs have proved to be extremely beneficial for various wellness applications throughout the times of Chinese Empire, the Egyptian Empire, the Greek Empire, the Roman Empire, the old Turkish Empire, and through the history of the Mediterranean cultures. However it is only under the wisdom of a Master Herbalist that the culmination of all this ancient knowledge has been precision-blended and perfected into a single formulation recipe - created to produce the maximum results, Pacify truly is the personification of the herbal wisdom of the ages. We stand one hundred per cent behind the effectiveness of Pacify, and do certify that the formula will help assist the body to promote natural head function. All of the ingredients used in the Pacify product are of the highest quality and grade possible; made with 100% certified organic & wild harvested ingredients. Click to add Pacify to shopping cart!